Although nearly a year old, all of the information in this article is still relevant. It is important to know if your Alexa can record audio; scroll down to find out how. If you have an Amazon Echo, chances are you’re impressed by the convenience it offers. It’s no wonder more than 20 million devices were sold in 2017 alone! You are likely blow away by the things alexa can do. You can ask the Amazon Echo for the latest news, find out the weather report, shop for items on Amazon, and even play your favorite songs without having to lift a finger—and those are just built-in functions! There are countless third-party integrations, including Protect America. The device is revolutionizing smart home automation; there’s no question it’s an amazing tool. However, there is a big question on the minds of many people…can Alexa record audio? To take it a step further, if she can record audio, does she? However, one question that many people ask about the Amazon Echo is whether Alexa is able to record audio. While Alexa speakers are able to save and store short notes, they’re still not able to record record your voice and save voice memos. Many people find this odd because Alexa actually records every single word that you say. In fact, you can see all the things you’ve said by using the Alexa app on iOS or Android. 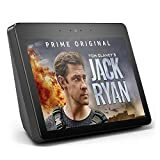 You can also go to alexa.amazon.com to listen to what you’ve said and play the recordings. Does Alexa Record Audio All the Time? Unsurprisingly, quite a few consumers are startled by the idea that Alexa is always listening to what they say. Not only is Alexa listening to what you say, but it is also recording and saving a substantial amount of what you say. Many are comparing this to how Google and Amazon log the normal web activity of their consumers. This is a practice that both companies have been doing for years. In fact, Google and Amazon are not the only companies that do this. Home and Echo are essentially doing the same thing, but with snippets of your voice rather than search queries. Of course, it’s understandable that many consumers are concerned about their privacy when it comes to Alexa. However, it is important to understand that recording your voice is a huge aspect of how voice assistants function as intended. How Do In-Home Voice Assistants Work? Every time you make a voice request to your in-home voice assistant, Alexa devices record an audio clip of what you’re saying. The device sends the files to a server to process the audio file and create a response. By default, the recorded clips are stored and associated with your account. 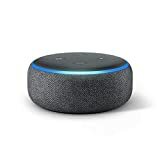 In order to work, Alexa devices require an Internet connection. On its own, Alexa devices only understand very simple spoken commands. 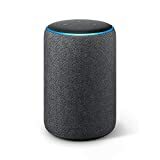 These spoken commands tend to be “activation phrases” or “wake words.” Some examples include “Alexa.” Once you say these words, the voice assistant activates to capture your audio request and send it to a server over the WiFi. A side effect of this is that the mics are constantly listening—even when you’re not making an audio request! However, you can rest assured that the things you say before the activation phrases or wake words are not stored or sent to servers. Your privacy is of the utmost concern to these device manufacturers. For more information about whether Alexa can record audio, don’t hesitate to contact us here at Protect America. Not a customer yet? You can also contact us for a free quote.